Ranco Wines currently owns 900 Ha. (222.394.843,3 acres) in vineyards. The most important of all our vineyards (which is also our center of operations) is located in Sanatorio, Curicó, in the commune of Sagrada Familia. To supply the annual demand for the wine we have different ways of providing ourselves. 30% comes from our vineyards, 15% comes from a wine producer and the remaining 55% comes from local producers (with these two we have long-term contracts). This structure has been used since Ranco Wines was inaugurated and ensures premium wine. Located in one of the banks of Río Maipo near to San Bernardo city. 26 Km. (16,1 miles) south of Santiago, Ranco Wines has 130 Ha. (321,2 acres) of the vineyard. Located in the area of Puente Alto, 1 Km. (0.62 miles) from the prestigious Almaviva vineyard (Joint Project between the CYT and Baron Philippe de Rothschild). We own 90 Ha. (222,3 acres) of high-quality soil. Sanatorio, located 250 Km. (155,3 miles) south of Santiago. Is where our main vineyard is located, our winery and 250 Ha. (617,7 acres) of grapevine. In Valle del Maule, near the Calina’s winery (Kendall Jackson’s Chilean brand). We produce 150 Ha. (370,6 acres) of top quality Cabernet Sauvignon. This is one of the most prestigious areas for this strain. 450 Km. 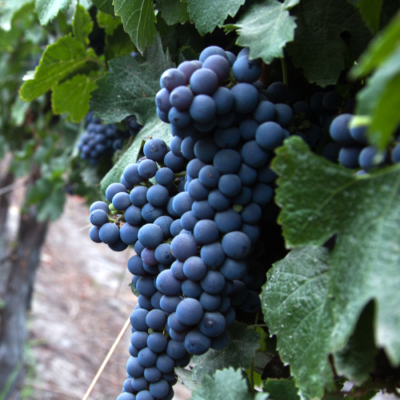 (279,6 miles) south of Santiago and to the coast, it has been discovered this new terroir ideal for red wine. With 250 Ha. (617,7 acres) of wine production.